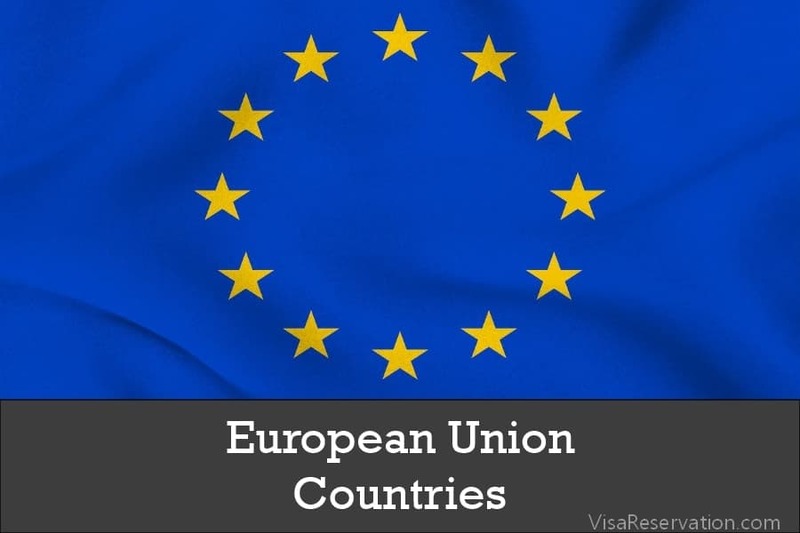 In this article, learn everything about EU countries, Member state of the European Union, Schengen countries, a map of EU countries and a brief history of the EU. 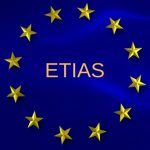 The European Union (EU) traces its roots to 1945 when 28 countries in Europe signed the Treaty of Maastricht and Treaty of Rome to end the brutal wars ravaging the continent and decided to collaborate with each other, to further the interests of trade, commerce, art, culture, and science. Duration of visa application process: Most EU countries take between 10 & 15 days to approve the visas. 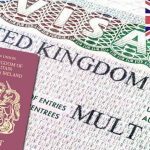 But, countries like the UK and Ireland take 20-30 days to approve the visa. It’s best if travelers keep at least one month aside for the visa application process to be completed. This buffer period will also help travelers account for chances of visa rejection and reapplication. Renowned for its natural beauty and for being the stage to the Sound of Music, Austria delights the senses of every traveler. Best time to travel: September-October. Visitors must see & try: Schönbrunn Palace in Vienna and the Von Trapp house in Salzburg. Music symposiums and traditional balls. If Belgium is known for something, it’s the sinfully delicious food and beverages. Travelers are in for a sensory delight at Belgium. Currency: euro. Euro area member since 1 January 1999. Schengen: Schengen area member since 26 March 1995. Best places to visit: Dinant, Leuven, Mechelen, Ghent, Ardennes, and Antwerp. Best time to travel: April-October. Visitors must see & try: Caves of Han, Grotto of Dinant, Atomium. Chocolates, waffles, fries, and beer. Replete with exotic flora and fauna, the serene countryside of Bulgaria is a nature lover’s paradise. Currency: Bulgarian Lev BGN. Bulgaria has committed to adopting the euro once it fulfills the necessary conditions. Schengen: Bulgaria is currently in the process of joining the Schengen area. Best places to visit: Varna, Tsars, Sofia, and Burgas. Best time to travel: April-May. Visitors must see & try: Ledenika Cave, Rila National Park, Rose Valley, and Belogradchik Fortress. Wine tasting at the local vineyards and winter sports at Bansko. White, sandy beaches and lush, green forests characterize the gorgeous honeymoon destination that is Croatia. Currency: Croatian Kuna HRK. Croatia has committed to adopting the euro once it fulfills the necessary conditions. Best places to visit: Pula, Zadar, Split, and Dubrovnik. Best time to travel: May-June and September-October. Visitors must see & try: Krka National Park, Zlatni Rat Beach, and Plitvice National Park. Spelunking at Blue Cave of Bisevo and eating Octopus salad. Best places to visit: Akamas Peninsula, Nicosia, Protaras, and Limassol. Best time to travel: July-October. Visitors must see & try: House of Dionysus, the House of Theseus, and Troodos Mountains. Nightlife at Ayia Napa, wine tours, and the Europe Meze. A country with a tradition in jewelry, glass, and beer manufacturing, Czech Republic is the perfect place to indulge in traditional luxuries and extravagances. Currency: Czech koruna (CZK). The Czech Republic is currently preparing to adopt the euro. Best places to visit: Prague, Plzen, Moravian Karst, and Cesky Krumlov. Best time to travel: July and August. Visitors must see & try: Prague Castle, St. Vitus Cathedral, and regional ice hockey games. Pilsner Urquell beer and purchase cut glass. Home to the happiest people on Earth, Denmark is a must-visit for anyone in search of the secret to happiness. Currency: Danish krone DKK. Denmark has negotiated to opt-out from the euro and thus is not obliged to introduce it. Best places to visit: Råbjerg Mile, Anholt, Copenhagen, Møn, and Moaning Bay. Best time to travel: May-August. Visitors must see & try: Rainbow rooftop at ARoS Art Museum, Singing trees at Kildeparken, and Champagne with a Sword Championships. Camping on treetops, bridge walking over Little Belt Bridge, and eating Danish pastry & Lurpak butter. With its tech-savvy background, amazing academic infrastructure, and wonderful women’s safety programs, Estonia is the ideal place for solo travelers and students. Best places to visit: Viljandi, Hiiumaa, Parnu, and Tallinn. Best time to travel: April-May & September-October. Visitors must see & try: Soomaa National Park, Rakvere Castle. Hiking & birdwatching in Saaremaa and safari at Lahemaa National Park. With 187,888 lakes, 179,584 islands, and just 16 inhabitants per km², Finland is the perfect holiday destination for travelers who wish to go off the grid and revel in nature’s bounty. Best places to visit: Levi, Aland Archipelago, Turku, and Helsinki. Best time to travel: December-March. Visitors must see & try: Snow castle at Kemi and Santa Park at Rovaniemi. Amethyst digging at Lampivaara and snow sports in Levi. The most visited country in Europe, France has much in store for those in love with love. Best places to visit: Marseille, Tuscany, Nice, Paris. Best time to travel: April-June & September-November. Visitors must see & try: Loire Valley, Catacombs, Muse d’Orsay, Muse du Louvre. Escargot, baguette, wine, and éclair. A rich and colorful history, brilliant tech scenes, and breathtaking flora & fauna, Germany has a lot to offer its visitors. Best time to travel: May, September & October. Visitors must see & try: Neuschwanstein Castle, Dachau Concentration Camp Memorial Site, and Semper Opera. Beers, bread, schnitzel, and currywurst. White sandy beaches, refreshing gentle waves, and a lush island to spend your holiday at; what more could you ask of the exotic land of Greece. Best places to visit: Zagori, Mykonos, Peloponnese, Santorini, Delphi, and Crete. Best time to travel: April-June & September-October. Visitors must see & try: Parthenon, Acropolis, and monasteries at Meteora. Catamaran cruise and Greek food (Moussaka & Dolmades). A potpourri of different cultures, Hungary makes for a wonderful visit by anyone interested in having a unique global experience. Currency: Hungarian Forint HUF. Hungary is currently preparing to adopt the euro. Best places to visit: Gyor, Aggtelek National Park, Budapest, and Lake Balaton. Best time to travel: March-May & September-November. Visitors must see & try: Nine-Arch Bridge at Hortobagy National Park. Hot water springs at Heviz, Danube river cruise, and cave bath at Miskolc-tapolca. Long hikes up steep cliffs, hearty regional food and a cold one at day’s end – vacation in Ireland is exhilarating and relaxing in equal measure. Schengen: Ireland has negotiated an opt-out from Schengen area. Best places to visit: Skellig Islands, Glenveagh National Park, The Burren, Cork, and Dublin. Visitors must see & try: Cliffs of Moher, Ring of Kerry, and The Giant’s Causeway. Guinness beer, blood pudding, soda bread, and Boxty. Ancient architecture, delectable pasta, and strong coffee come to mind when we talk about the beautiful European country of Italy. Best places to visit: Naples, Sicily, Rome, Cinque Terre, Milan, Tuscany, Venice, and Amalfi Coast. Visitors must see &try: Leaning Tower of Pisa, Colosseums, and churches. Local seafood and regional pasta. With over 500 km (310 miles) of coasts to its name, Latvia is a hidden gem in Europe that’s the perfect destination for those looking for a tan and a surf. Best places to visit: Jurmala, Kuldiga, Sigulda, and Liepaja. Best time to travel: April-September. Visitors must see & try: Ventas Rumba and Gauja National Park. Jewelry shopping at Riga’s Central Market. Home to some of the oldest architecture and languages in the world, Lithuania is where time stands still to allow travelers to revel in the country’s traditional beauty. 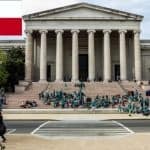 Best places to visit: Vilnius, Kaunas, Kernave, and Neringa. Best time to travel: May/September. Visitors must see & try: St. Peter & Paul’s Church, Nida Dunes and Paneriai. Foods like Cepelinai and Kugelis. The tiny landlocked nation of Luxembourg is a potpourri of French, German, and Belgian cultures, and offers travelers an exotic experience. Best places to visit: Vianden, Echternach, Diekirch, and Beaufort. Best time to travel: May, June, September. Visitors must see & try: Notre Dame Cathedral, Palace of the Grand Dukes, and Petrusse Casemates. Spa day at Mondorf-Les-Bains, sailing at Upper-Sûre Lake, and beer run at Diekirch. A hidden treasure in the heart of the Mediterranean Sea, Malta is adventure enthusiasts’ paradise. Best places to visit: Valletta, Sliema, St. Julians, and Dwejra. Best time to travel: August-October. Visitors must see & try: Nissi Beach, Petra tou Romiou, and Coral Bay. Zorbing, ziplining, and quad biking. Renowned for its parties and art scene, the Netherlands makes for the perfect getaway for anyone looking to have a varied cultural experience. Best places to visit: Rotterdam, Utrecht, Amsterdam, and Leiden. Visitors must see & try: Annual Bloemencorso Parade, Vincent Museum, Anne Frank House, and The Hague. Biking, cheese, beer, fries, and bungee jumping at the Faralda Crane Hotel. Cosmopolitan, yet entrenched in tradition, Poland is a quiet retreat for travelers who want to experience the best modernity and tradition have to offer. Currency: Polish Złoty PLN. Poland is currently preparing to adopt the euro. Best places to visit: Lublin, Warsaw, Gdansk, and Krakow. Best time to travel: March, April & October. Visitors must see & try: Malta International Theatre Festival in Poznan. Foot/bicycle safari in Bialowieza Forest, eating Pierogis and drinking Sobieski Vodka. Its old-world charm, active nightlife, and mouth-watering delicacies make Portugal an attractive tourist destination for people young and old. Best places to visit: Evora, Azores, Aveiro, Madeira, and Lisbon. Best time to travel: May, September, October. Visitors must see & try: Aesthetic azulejos tiles on buildings, Gothic Monastery of Santa Clara-a-Velha, and Castle of the Moors. Pastéis de Nata, port wine and Piri Piri chicken, and a ride on Tram 28. Home to the legendary Count Dracula, Romania has an almost ethereal quality about it and makes for a wonderful summer escape. Currency: Romanian Leu RON. Romania has committed the euro once it fulfills the necessary conditions. Best places to visit: Danube Delta, Mamaia, Sinaia, Bucovina, and Sighisoara. Best time to travel: March-June & September-October. Visitors must see & try: Bâlea Lake, Bran Castle, Salt mine in Turda, and Merry Cemetery. Hiking up the Carpathian mountains and Ghost tours at Bran Castle and Rasnov Fortress. Located in the heart of Europe, Slovakia makes for the perfect starting point for an authentic European adventure. Currency: euro. Euro area member since 1 January 2009. 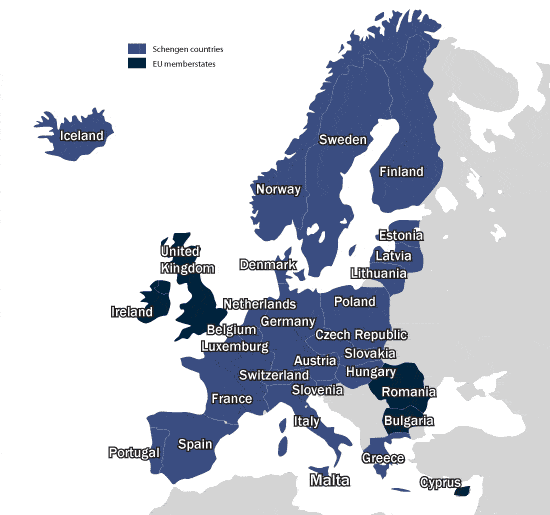 Schengen: Schengen area member since 21 December 2007. Best places to visit: Bratislava, Košice, Spišské Podhradie, and Levoča. Visitors must see & try: Ice sculptures in the High Tatras and underground caves in Slovak Paradise. Adventure sports at Štrbské Pleso and Small-gauge train ride to Hrebienok. Home to over 10,000 underground caves, Slovenia opens a completely unique and never-before-seen world of ancient natural wonders. Currency: euro. Euro area member since 1 January 2007. Best places to visit: Ljubljana, Koper, Kranjska Gora, and Triglav National Park. Best time to travel: May-September. Visitors must see & try: Kurentovanje carnival and 20,570-meter long underground cave at Postojna. Thermal springs at Ptuj and horse riding at Lake Bled. With 44 UNESCO World Heritage Sites right in its backyard, Spain is an excellent vacation destination for history buffs. Best places to visit: Seville, Madrid, Barcelona, Toledo, Ibiza, and Valencia. Visitors must see & try: Sagrada Familia Cathedral, Mezquita, and Casa Batllo. Tomatillo festival, skiing at the Sierra Nevada, and Spanish Islands cruise. The third-largest European country by geography, Sweden is home to some of the most delicious meat-based cuisines and the most beautiful wildlife reserves in the EU. Currency: Swedish krona SEK. Sweden has committed the euro once it fulfills the necessary conditions. Best places to visit: Kosterhavet National Park, Stockholm, Uppsala, and Gotland. Visitors must see & try: Strandverket Art Museum and Gothic Hansa architecture in Ystad. Reindeer hikes and hiking at Swedish Lapland. The European center of culture, commerce, and fashion, the UK has many wondrous experiences on offer for interested visitors. Currency: pound sterling (GBP). The UK has negotiated of an opt-out from the euro and thus is not obliged to introduce it. Schengen: the UK has negotiated an opt-out from Schengen area. Best places to visit: Yorkshire, London, Norfolk, Bath, Cornwall. Best time to travel: June-September. Visitors must see & try: Big Ben, London Eye, Westminster Abbey, and Stonehenge. Tour of Warner Bros Studio, hike to Malham Cove, and London food walking tours. The European Union is a wonderful place to holiday, study, and work at and it is worth a visit by everyone! !